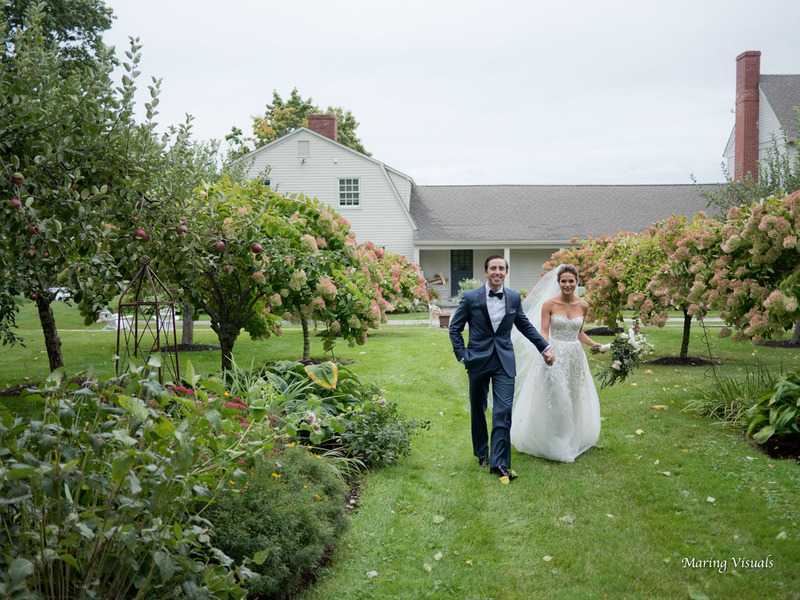 Susie and Colin's Litchfield, Connecticut wedding was rooted with quintessential New England charm. All the decisions that went into producing a heartwarming and finely styled wedding came together perfectly. 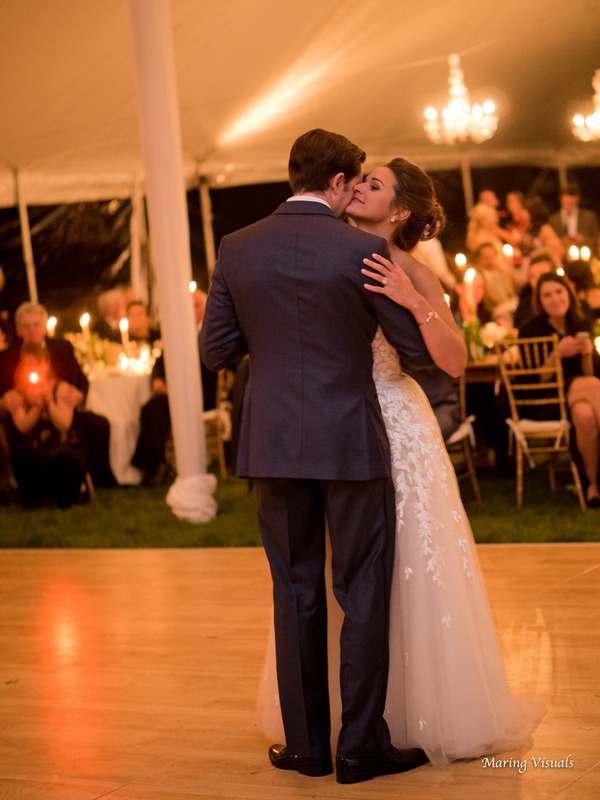 Whether it was the time of year, the decor, or the location itself their wedding stage was set to be magical. Early October in Connecticut is such a choice time for a wedding of distinction. The temperatures cool off, the fall foliage begins, and the thoughts of a cozy warm fireplace warms our hearts. This idea of what fall in New England is supposed to be is precisely what made their wedding so remarkable. With that said, the wedding day didn't come without some worry as the weekend drew near. Hurricane Juaquin was barreling up the coast, and the weather reports leading up to the big day had everyone involved wishfully hoping that the storm would track far out to sea. For the most part it did, however it did bring heavy rains the night before along winds that continued off and on as the wedding day began. The temperatures were much cooler than normal, and some might even say cold. 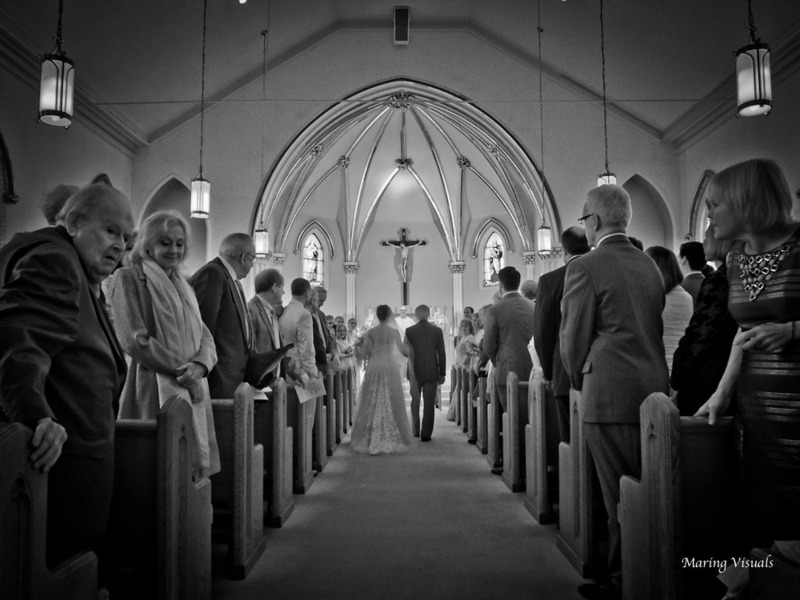 However, even with all the worry, the less than ideal temperatures, and the drama that comes with planning a wedding with a hurricane in the forecast, Susie and Colin approached the day with grace and determination to have the time of their lives and the photographs certainly share that they did just that. 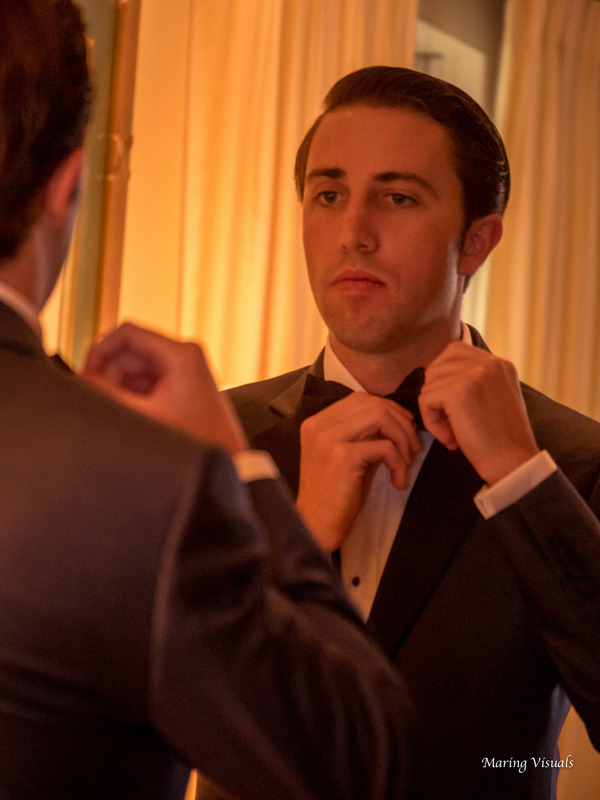 Every perfect wedding starts and ends with a great team of professionals who go out of their way to make the wedding a success. 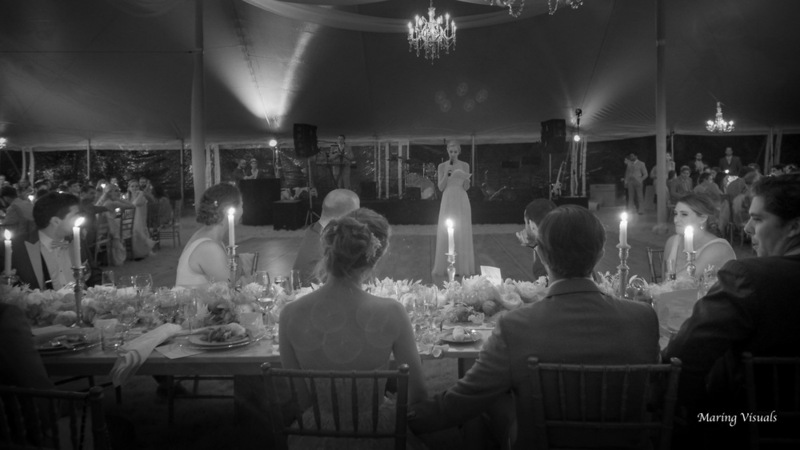 Stephanie Carmody, of Tres Chic Events brought us all together to make this dream wedding a reality. It is obvious that she takes her work seriously based on her attention to detail both before, and during the wedding day. Smart decisions, complimented by a vision of beauty, and hard work prevailed even with the challenges that came. 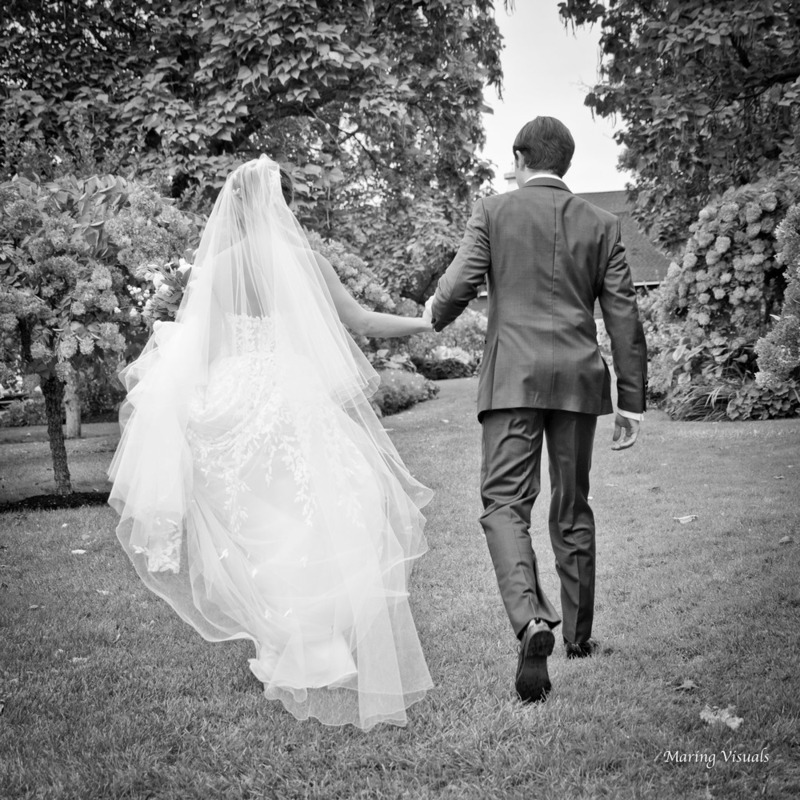 As photographers we know that we weather plays an important role in the wedding photography. While many couples dream of sunny days, the fact is weather can add a unique kind of romance to wedding photography. When the weather is cool, or rain is falling, we all tend to snuggle a little closer and weather has the potential to bring charm and character to the days events if we just go with it. Susie and Colin's wedding depicts this perfectly, and their attitude to make the most of the day ahead made their photographs shine. 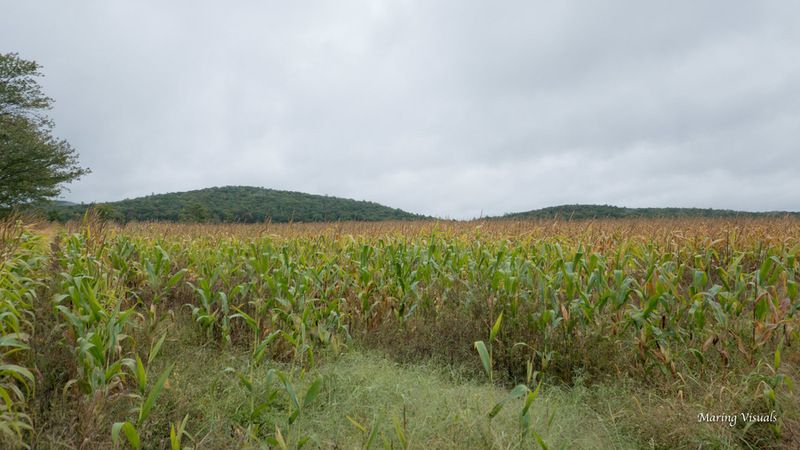 If you had to choose a location that radiates New England Charm, you couldn't choose a more exquisite location than Lion Rock Farm in Sharon, Connecticut. 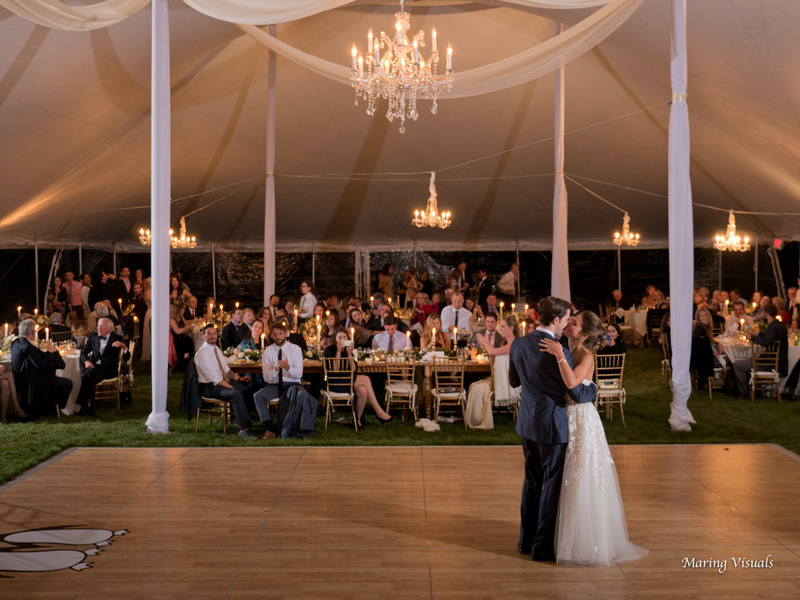 Large wedding receptions are usually tented, but complimented by a beautifully decorated barn that allows guests to enter to a warm fireplace lit atmosphere. 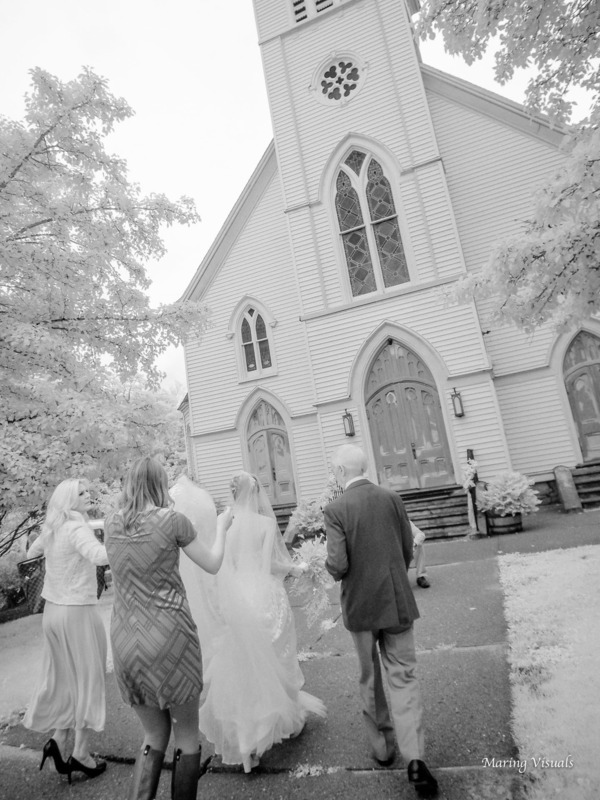 Couples have options to rent two separate houses on the property, have their ceremony on site, or at a local church. 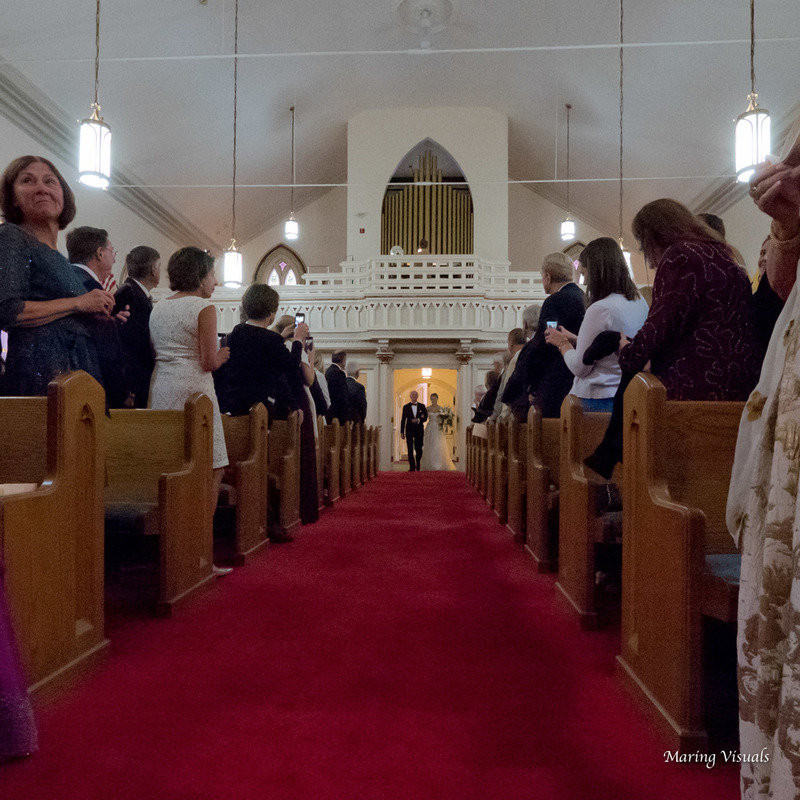 If you are picturing the perfect fall New England destination wedding, then this is a must see. Susie and Colin rented both homes at Lion Rock Farm to get ready in. Both homes are spacious, are complimented with beautiful decor, and have a heartwarming vibe. 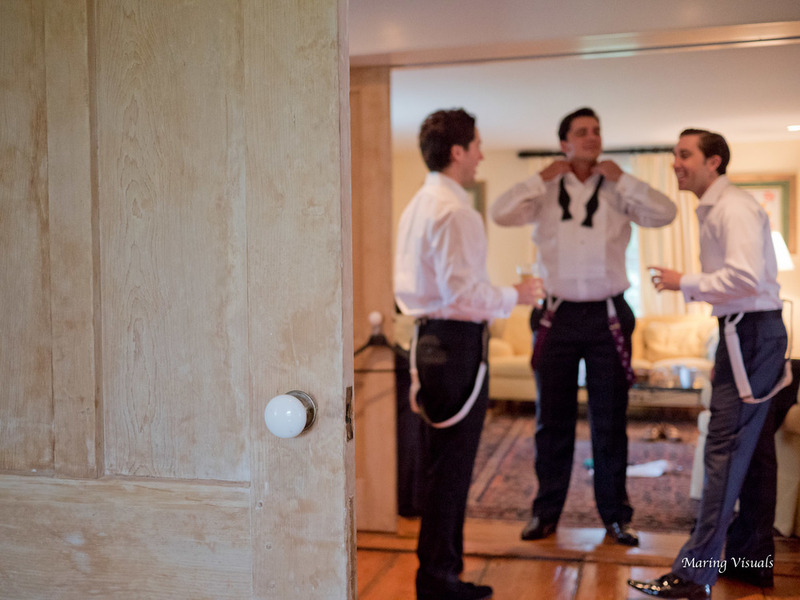 The bridesmaids prepared for the day in the main house, and the guys in the smaller home. 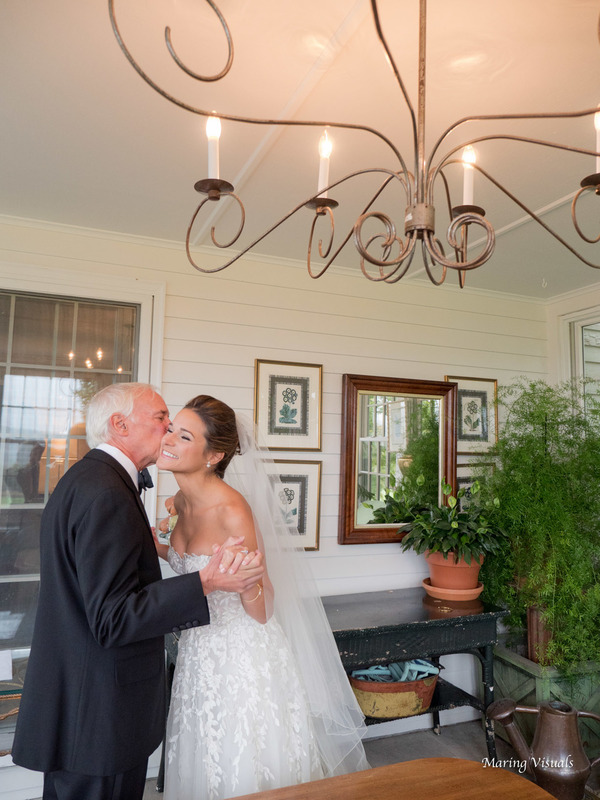 This was incredibly smart as it allowed ample room for all to get ready, and it allowed us as photographers to easily transition between the two locations and capture all the beauty of the farm. Just a short drive down the road is Saint Mary's Church. If you are looking for a quintessential New England chapel with a white steeple, red doors, and wonderful lighting inside then this is a perfect fit. The ceremony was traditional, and beautiful and the balcony offered a secondary angle overlooking the nuptials, which is always great for photography. 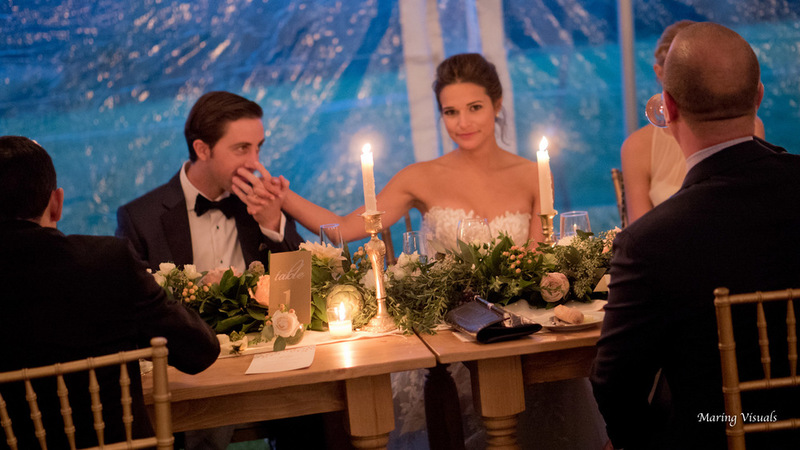 The couple chose to have an extended cocktail hour which transitioned from the bar into a heated tent where guests could either sit by the fire, or relax in casual conversation. Just a walk through an indoor pool room guests would enter the main reception tent where the final details were quickly coming together. 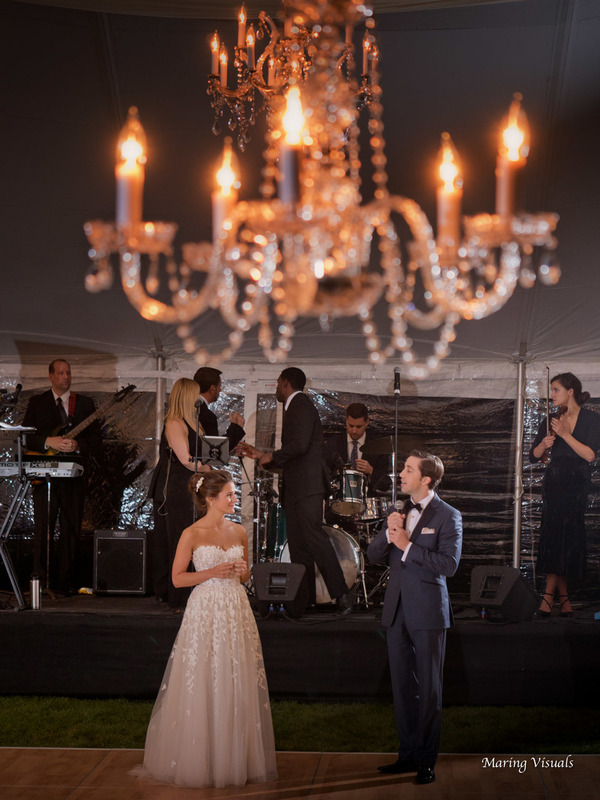 As the band was doing sound check, and the final candles were being lit the wedding planner, Stephanie Carmody, ushered the couple in for an epic preview of the beautiful decor. 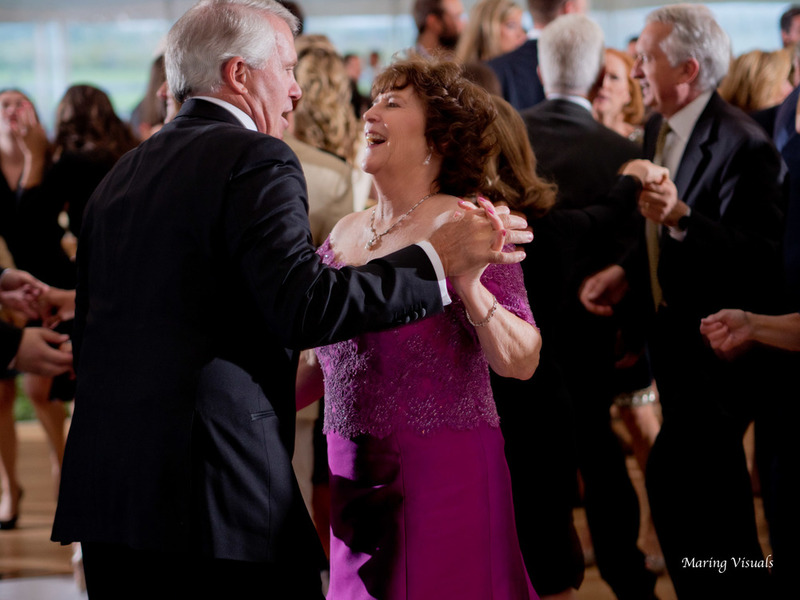 It was all Susie and Colin could have dreamed for, and their expressions lit up the room. The reception would be traditional for the most part. Several amazing toasts kicked off the celebration. The bride's father shared words of wisdom as did the father of the groom, who was also Colin's best man. 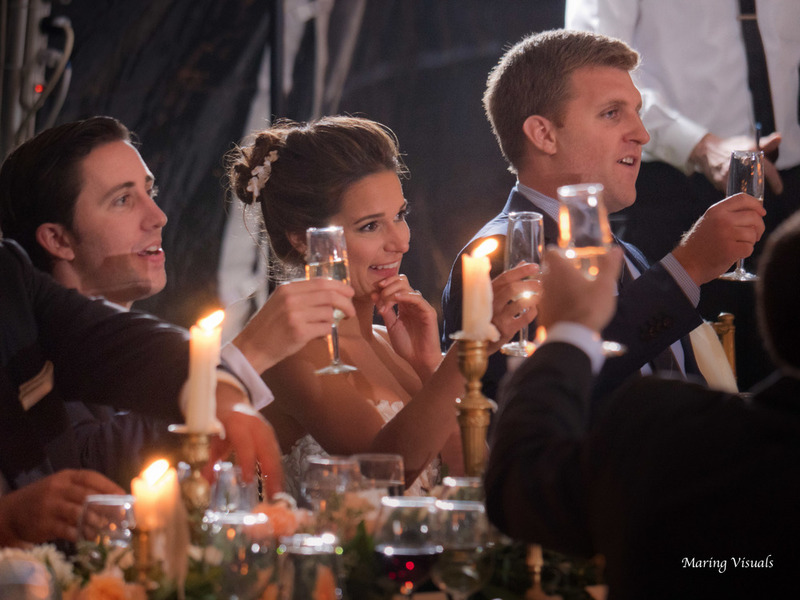 The brides made of honor reminisced with stories of special memories together each ending with raised glasses and cheers. 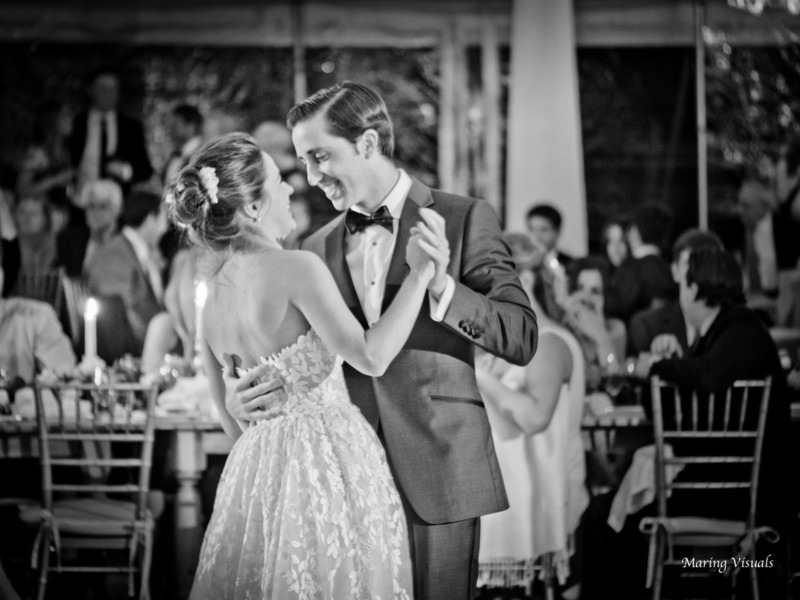 The couples first dance would be graceful using every inch of the dance floor creating a wonderful visual for guests. 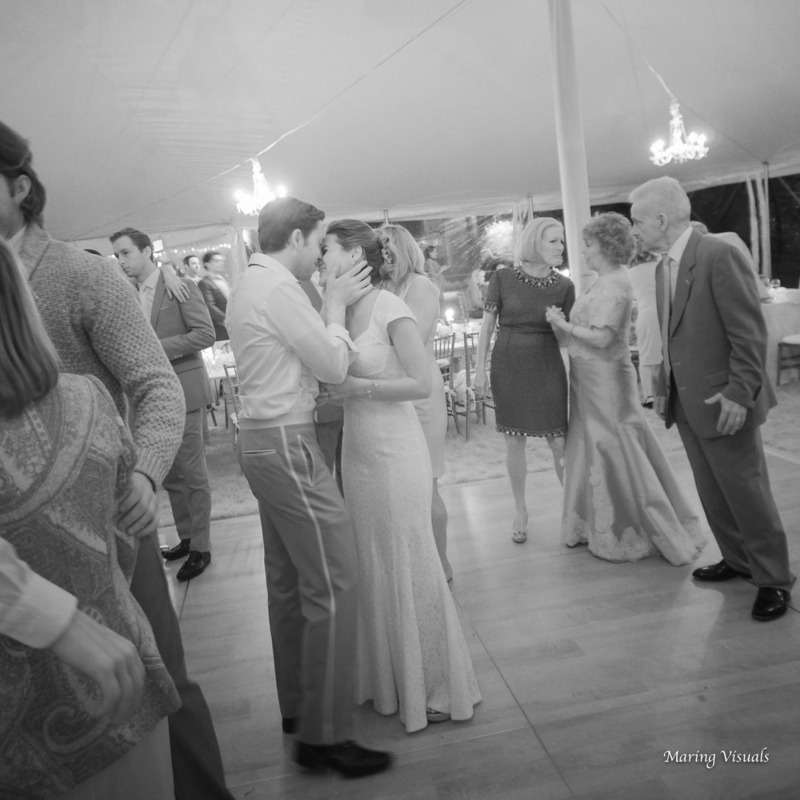 The rest of the evening flowed perfectly with emotional filled parent dances and guests dancing the night away. At one point the groom even did a flip on the dance floor to the amazement of all. The evening closed gracefully with a dessert area filled with a variety of seasonal pies for guests to enjoy. 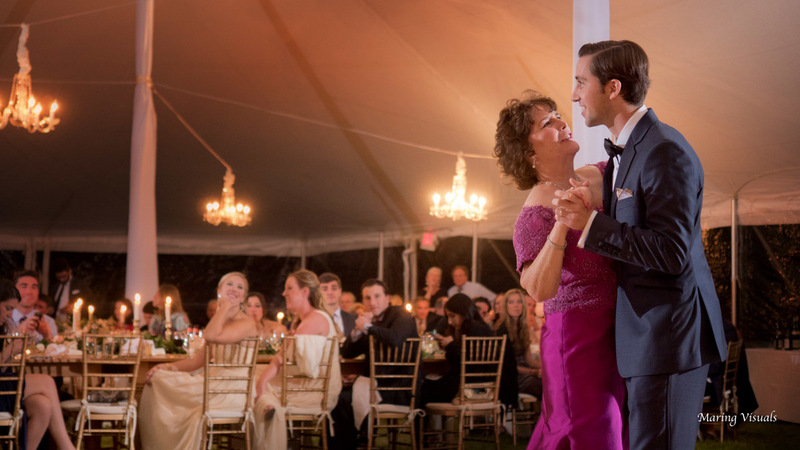 Weddings like Susie and Colin's are the kind you never forget. We can't always count on ideal weather, but their ability to go with the flow, and make the most of what comes their way are what makes everyone who attended feeling the love, warmth, and spirit of the day. Enjoy some beautiful moments of this story below, and a special congratulations to Susie and Colin on their magnificent day and their new life together.